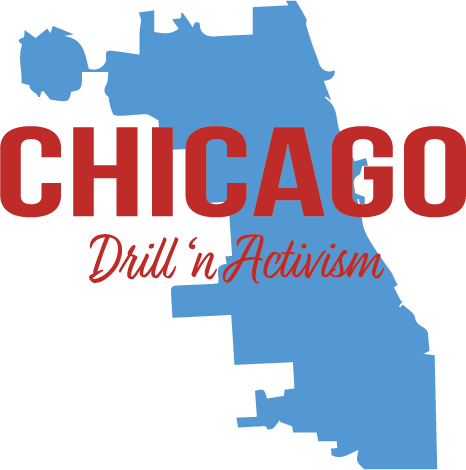 The Chicago Drill and Activism (AKA "Chi DNA") feature documentary and larger cross-platform, multi-media project explores the creation, meaning, perspectives, and connections between drill rap and the resurgence of grassroots activism since the early 2010s through the eyes of the people involved. Chi DNA focuses on contemporary Chicago as an intentional place for the resurgence of these two formations of cultural and political resistance during relatively the same time period. It examines how authenticity, community, and other important values to the subjects are impacted and promoted via technology, social media, and a rejection of traditional means of movement politics and corporate structures. As told by activists and drill rappers alike, the project situates the the subjects’ experiences and actions into a broader theoretical and empirical history of systemic inequality and resistance in Chicago. Chi DNA explores the the aforementioned topics and themes through nuanced storytelling via the personal life of rapper, activist, and abolitionist Tweak'G and others including activists Charles Preston and drill artists Little G and Taee Savage. The story analyzes past campaigns and events such as the LaQuan McDonald cover-up, the unseating of Cook County State's Attorney Anita Alvarez, the #NoCopAcademy fight to stop the $95 million dollar police academy project, and 2019 mayoral and aldermanic races. Music-makers explain the second wave of drill, their stake in the underground rap scene, and what's next in their lives and Chicago as a hotbed for creativity and grit. Chi DNA focuses on contemporary Chicago as an intentional place for the resurgence of cultural and political resistance during the same time period through drill rap, which is a Chicago-based (originally underground) sub-genre of gangsta rap. The gritty and aggressive sub-genre deals with violence, bravado and urban street life. The "activist resurgence" references the current movement of grassroots activism primarily led by young black, brown, and/or politically left individuals organizing primarily around race, policing, poverty, economic equality, criminal justice, and LGBTQ rights. The broader Chi DNA project covers much of the macro influences, systemic forces, and history that make these topics so important today. As underground music and grassroots activism in Chicago is second to none, the feature attempts to cover the intimate, nuanced, and human aspects of the agents of change and misunderstood individuals in this world. What started as a final project for the DePaul University Masters of Sociology program is now a multifaceted project produced by SoapBox Productions and Organizing. As the Chi DNA Feature documentary principal photography in ongoing, the Chi DNA Series reflects the world that is Chi DNA. The series incorporates social media-oriented interview clips from the original academic research, 4-6 minute micro-docs exploring related themes and topics, Bourbon 'n BrownTown podcast episodes featuring Chi DNA guests, editorial articles, original academic research paper, and speaking engagements. ​Utilizing feature-length film, micro-documentaries, editorial pieces, podcast episodes, social media, events, and photography, SoapBox tells the story of Chicago's DNA. Pop culture is not apolitical. Drill, gangsta rap, other visible and highly critiqued forms of music and popular culture need to be unpacked out of the vacuum they’re typically vilified in. We need a more comprehensive view and analysis on cultural products from marginalized people. We, as a society, need move away from individual cultural criticism and move towards a simultaneous understanding of all art as an expression while being able to quell problematic ideology in all forms (not just the vulnerable) in a healthy, informed, bottom-up manner. ​This is all connected. Inequality, politics, pop culture, and resistance/activism are all wrapped up and connected in various ways, which we need to understand and amplify the mechanisms in this complex relationship that lead to a more just world. As Chicago is still in the national spotlight for street violence, we must undertake this conversation in association with the long history of structural violence, anti-blackness, machine politics that are unique to the city, versus scapegoating and vilifying the music and music-makers that produce said cultural products. Chicago is a microcosm for the country at large. Chi DNA documents several grassroots activists working in various organizations (BYP100 (Black Youth Project), Black Lives Matter, For the People Artists' Collective, Save CSU (Chicago State University), etc.). These folks are doing the work to enact social change in the American consciousness and very practically via legislation in Chicago and the nation. This project intervenes in exploring why this movement has been successful and using that knowledge to further it in years to come. Its intersection with violence and drill rap is important to bring the conversation out of radical spheres and into popular culture. This shows how social inequality, by creating disenfranchised black/brown communities from where drill rap often emerges, gives the easily vilified content of the music fuel to exist. The conflation of the political and cultural forms of resistance are needed to understand the intersections of social inequality in Chicago in multiple, seemingly unrelated, worlds and implicate viewers and those involved to act on how to change it for the greater good. Help us secure funds to produce the feature documentary. Explore the site and watch, read, listen, and interact with Chi DNA. 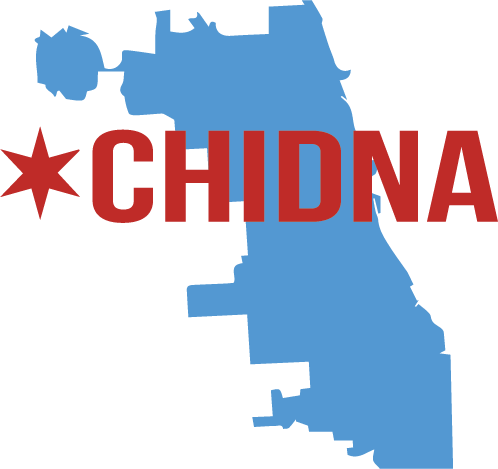 Sign up for Chi DNA updates and other SoapBox projects with our newsletter. Help support Chi DNA and speak truth to power. Anything and everything is greatly appreciated.